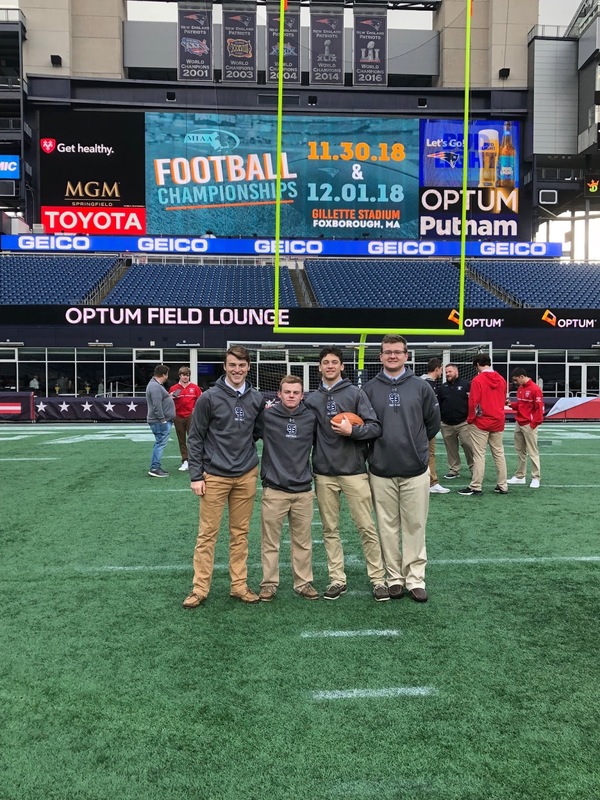 St. Bernard's hopes to capture its first Super Bowl since 1997, but will first have to go throughout high-flying Pope John. 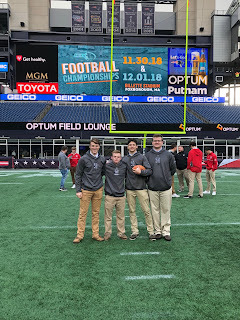 This morning, we unveiled our Division 3 and Division 1 Super Bowl previews that feature Tewksbury and Springfield Central and then St. John's Prep and Catholic Memorial. Now we are set to release our Division 8 Super Bowl preview between Pope John and St. Bernard's. Both the Tigers and the Bernardians have been runaway trains over the last month, leaving their competition in the dust with minimal room for doubt. They have also both it done largely on the heels of dynamic running games. Pope John is spearheaded by the illustrious duo of sophomore backs Greg Smith and John Smith-Howell. Smith-Howell has exploded for 1,216 rushing and over 20 total touchdowns while the more power back in Smith has 778 yards and an additional 10 scores. Quarterback Anthony Mejia has kept defenses honest with his ability to throw the deep ball with Jesus Rivera and Roshad John serving as his primary targets. Defensively, the Tigers have been stout all season long allowing just 7.5 points per game. Catholic Central League Player of the Year Ajan Nelson leads the unit from the linebacker position. Rivera has been terrific in the secondary compiling six interceptions and three pick-sixes. On the flip side is a St. Bernard's rushing attack that has been equally as impressive. Walter Morales and Xavier Marty have combined for 1,732 rushing yards and 23 touchdowns. Quarterback Dom Cuevas is dangerous both because of his arm and also his legs. The junior has 17 total touchdowns. The Bernardians have scored 40 or more points an astounding seven times including twice this postseason. Defensive end Ben Shaw and linemen Ben Jacoby lead the defense. The prowess of these two running games is no secret with both Pope John and St. Bernard's having the personnel to run the ball effectively for four quarters. The question will be which of these two teams is able to generate enough success in the passing game to open holes on the ground. Both Anthony Mejia and Dom Cuevas have been solid in 2018, but whoever is able to get into more of a rhythm on Saturday morning will make it easier for their teams to deploy their premiere backs. One of the more underrated aspects of St. Bernard's success this year has been in its defensive front. The Bernardians are led by sophomore Tyler Thibodeau, senior Dazeen Figueroa, and lineman Ben Jacoby. Thibodeau has 77 tackles on the season while Figueroa has 9.5 sacks. If St. Bernard's hopes to contain this vaunted Pope John attack, and get off the field on third down, it will need its defensive front to be disruptive, come through with TFLs, and limit the big plays from John Smith-Howell and Greg Smith.